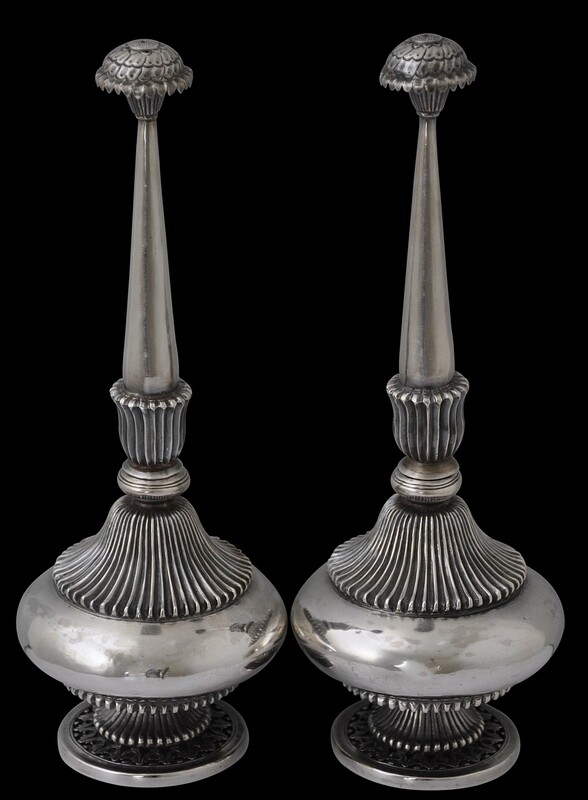 This fine pair of silver rosewater sprinklers have fine, flattened, bulbous bodies; flared feet with acanthus leaf open work; long, thin necks; and pierced, flower-head nozzles. The tops of the feet, lower and upper sections of the bodies, and both ends of the stems are cast with well-defined serrated, petal-like gadrooning. 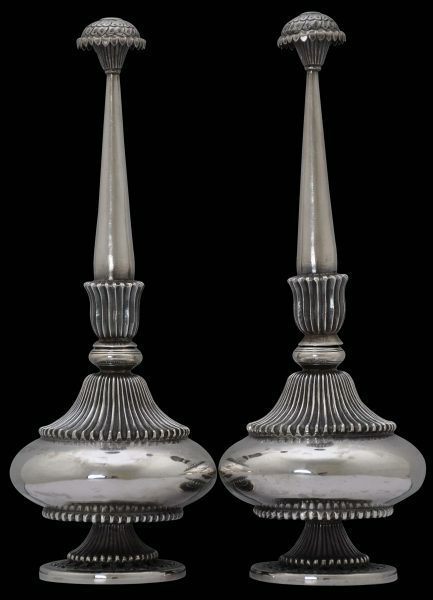 Surviving examples of matched pairs of Indian sprinklers are relatively rare; usually the two become separated. 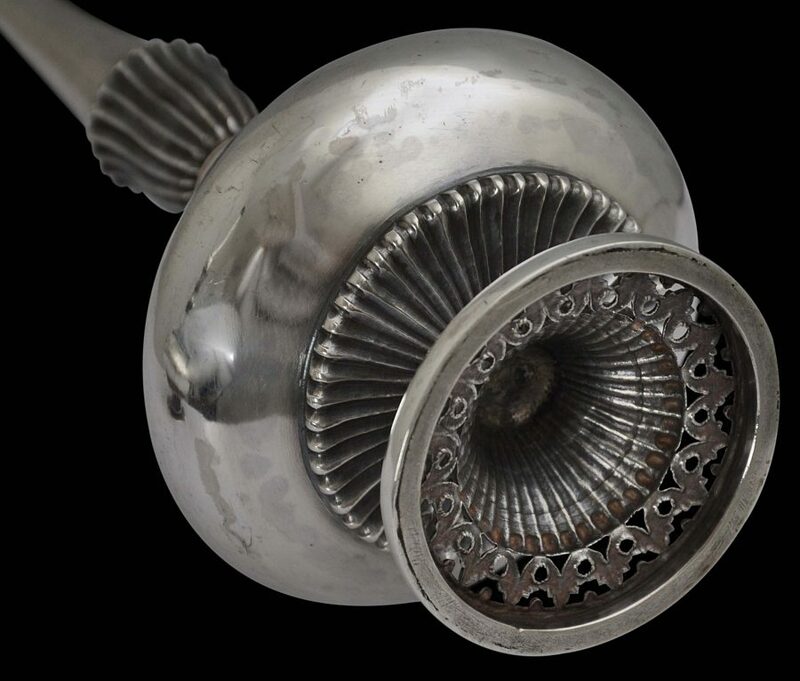 Such sprinklers were used in India at important ceremonies such as weddings. 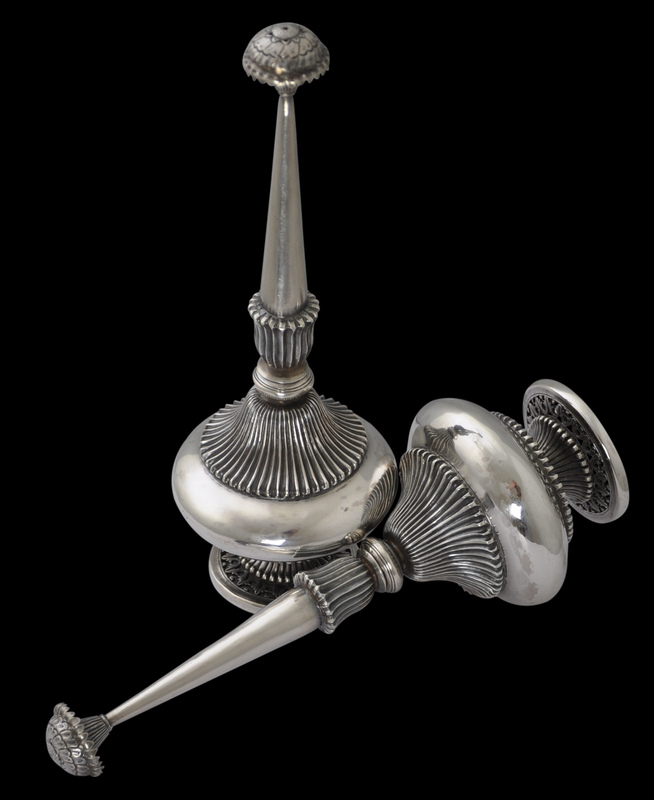 They were also used to scent rooms, and were offered to guests as they arrived at an important home so that they might freshen up after a journey. Overall, this pair of sprinklers is highly decorative and sculptural. Their quality is very fine . The open-work on the feet is particularly noteworthy. 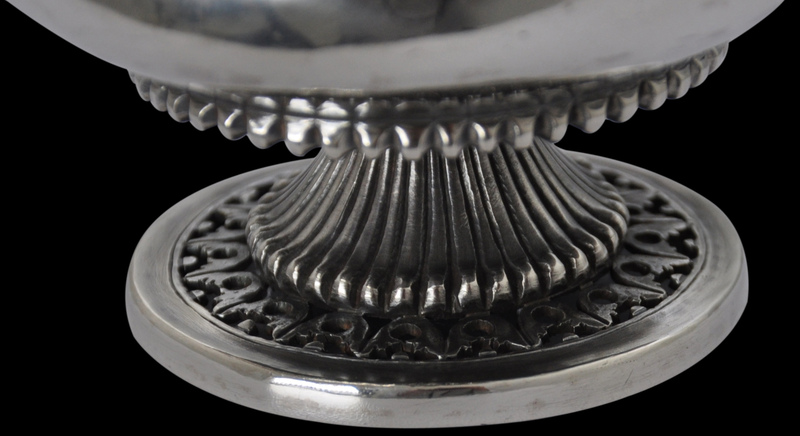 They are free of dents, splits or repairs but do have a wonderful age-related patina. 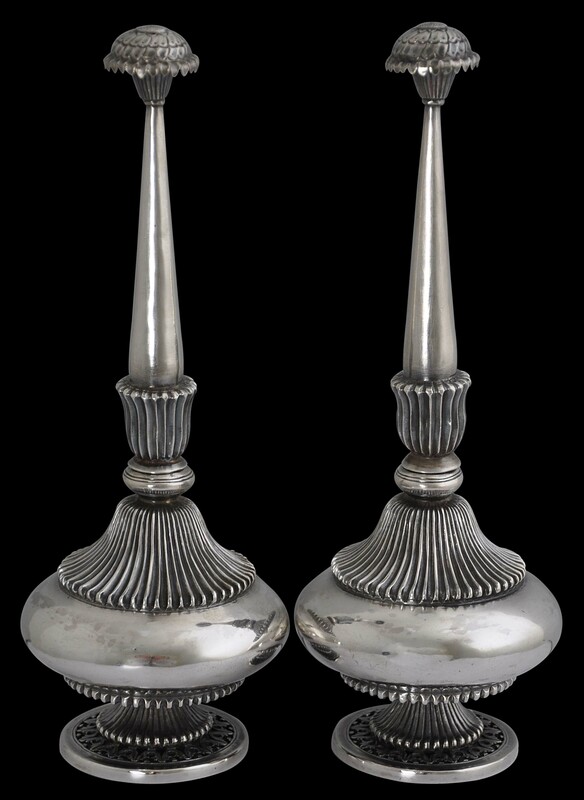 The pair are eighteenth century in style but probably were made in the early nineteenth century.